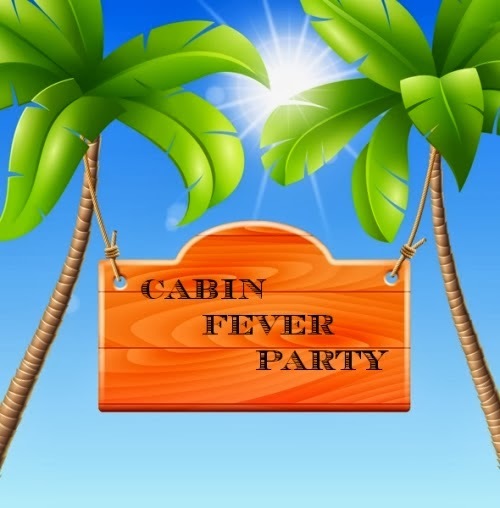 The fabulous duo of Padsworth and Dragondrop along with their mom Snoodles, all of Lily Pad Quilting fame, is hosting the desperately needed and much appreciated Cabin Fever Linky Party. Considering all that this winter has been so far for many of us, this is a great idea, if only to get us dreaming more and more of the warm sands and tropical breezes their above picture evokes thoughts of. 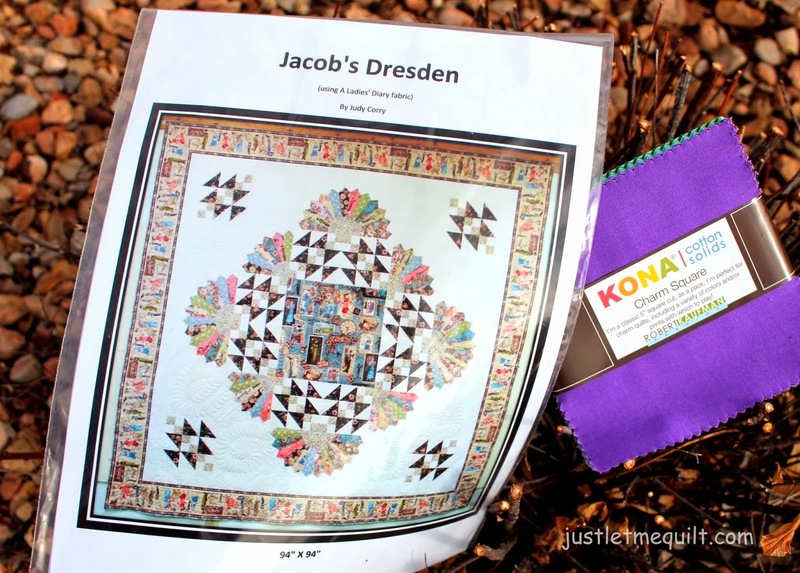 My winter so far has been anything but productive on the sewing front but at least winning this great pattern and charm pack of Kona in Sunset from Carol of Just Let Me Quilt certainly raised my spirits. I've gotten nothing actually completed this month. Between being so very sick a few weeks back, then working to get caught up during last week while the kids were on winter break, being out of town for the weekend and then having a good friend end up in the hospital with surgery Monday and me helping her since, there hasn't been any time at all for sewing. 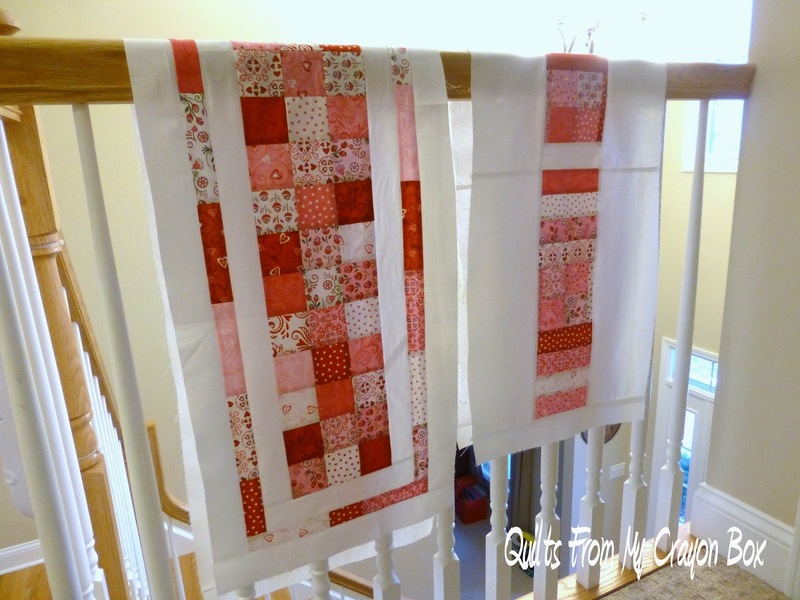 I had hoped to get one of these Valentine's Day table runners quilted but it does look like that is going to get accomplished. A little Whoo Hoo is possible since I was able to piece together the top for this runner (sorry I didn't take any pictures of it yet) but I did that the day before I got sick and it has sat waiting to be finished ever since. It only needs to be quilted and it will be done so hopefully it won't sit in the UFO pile for long. And I guess I can give myself a pat on the back for accomplishing another small goal....replacing my nasty ironing board cover. This is what it used to look like. Yuck! And this is what it looks like now. The plan was to make a really colorful one with fabrics from my stash but two conditions existed that made me choose this premade one instead. 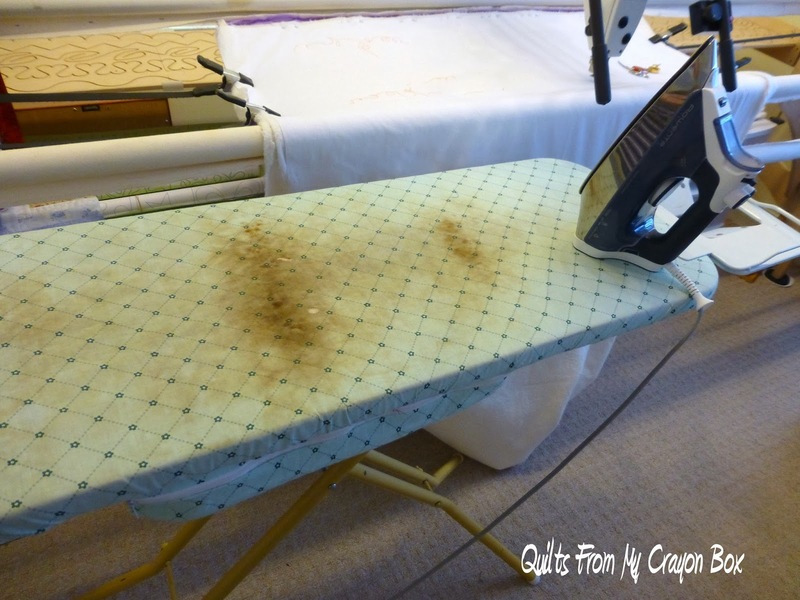 1) My iron does leak at times causing stains, mostly my own fault for not emptying it after each use and letting it dry out as the instructions state to do and 2) I had to return a gift from my Mom to a store I don't typically shop at, had a gift card to use up and there wasn't anything else there of interest. So funky Black and Pink ironing board cover it is. 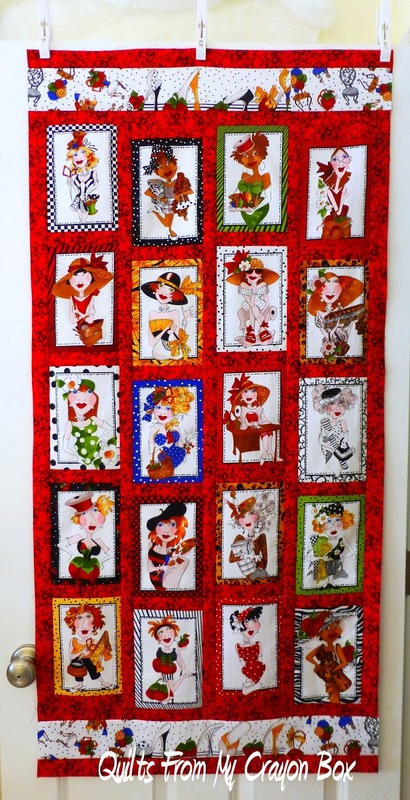 I am at least happy about finishing the top for my Sew Creative ladies wall hanging but will likely wait until my longarm Penelope is up and running to get it quilted and bound. There is a bit of a bright spot to mention and I know so many of my readers have been waiting anxiously for this news. 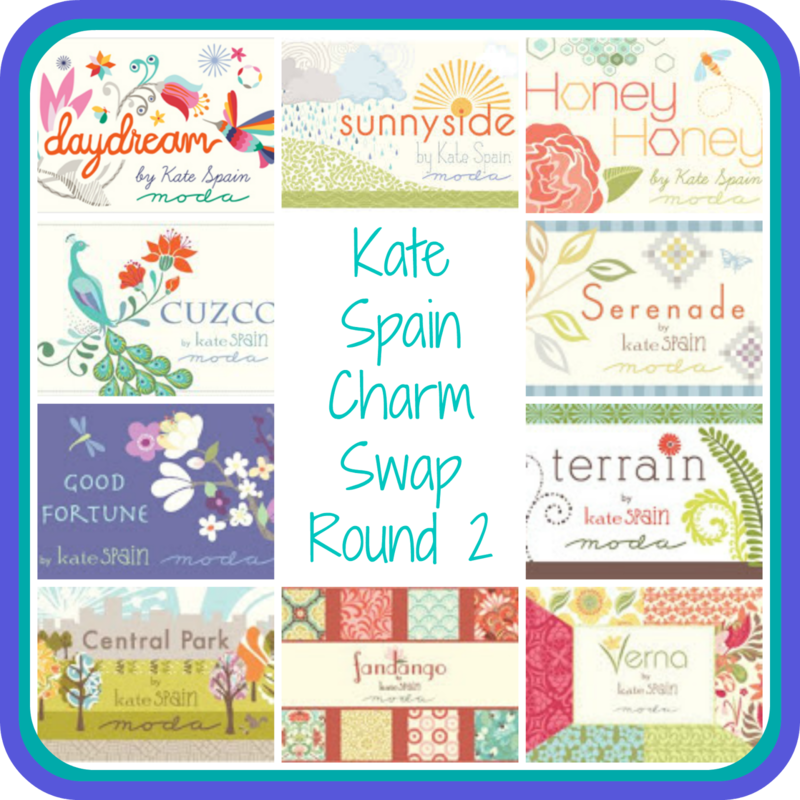 The Kate Spain Charm Swap Round 2 will open for sign ups on Friday. Based on the comments during and after Round 1, this is going to fill up F.A.S.T. so if you want in on the fun, don't wait. I can't wait to again see all the pretty Kate Spain fabrics all together and to start planning what to make with mine. Check back Friday morning for all the details. There is no doubt that everyone is wishing for Spring and after all the snow poundings we have gotten, we sure could use it, but unfortunately I'm feeling that Ole Man Winter isn't done with us yet. I know you have had a tough winter - lots of bright fun projects waiting for you though. I do love the new ironing board cover - I need a new one and will buy rather than make one as I tend to damage them rather quickly. 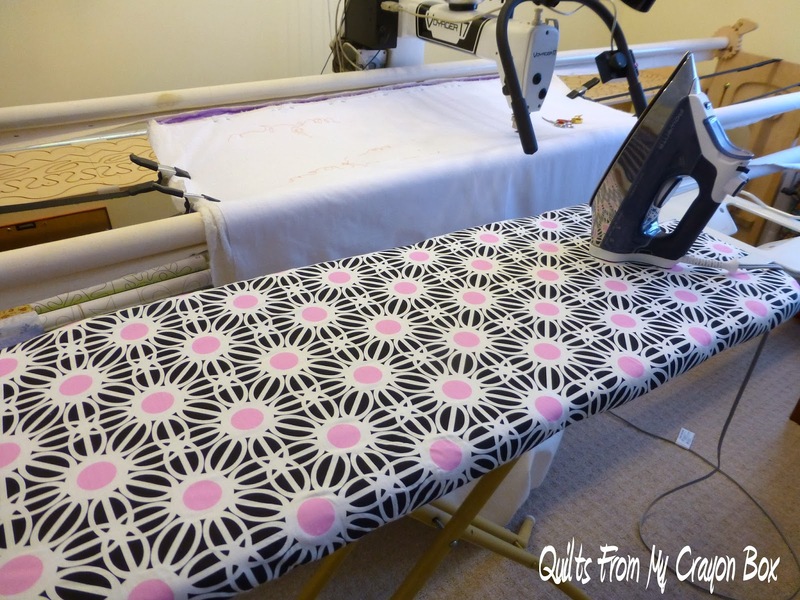 You have done a wonderful job on your projects, even with minimal time in your sewing room! Love your sew ladies, and your valentine's runners, and just everything! 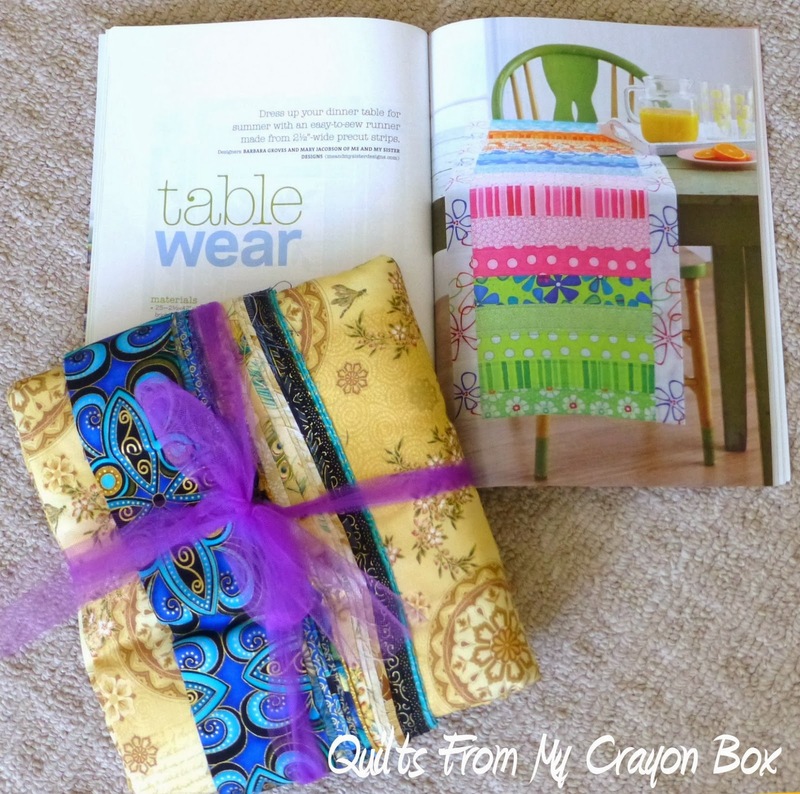 Glad to see your fun cabin fever projects and that you joined the linky! YAY!!!! sign ups on Friday -- here's hoping I don't forget to read blogs tomorrow and miss my opportunity. Your ironing board cover is just gorgeous - a real picker-upper. Sure hope you are feeling better and get back to having fun! Thank you for partying along with us!